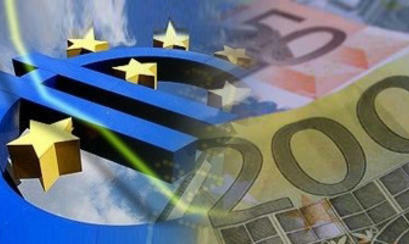 Many people have already taken advantage of so-called Euro-money. These are European funding programs that allocate funds under certain guidelines called "schemes" or "measures". This money can be utilized free of charge as long as the projects meet the requirements of the respective program. Far from all projects are related to architectural design (developing an architectural project): Euro-money can be allocated for various activities and events. To check whether your idea is eligible for Euro-money funding, you should bring up your idea with a consulting company which specializes in development and management of construction projects. This company will develop your business plan, prepare the necessary documents for your application, and assist in the allocation of funds. If your idea is related to a construction, reconstruction or other activity that requires a building permit, an investment project should be prepared along with the above-mentioned documentation. You may want to consult with a specialist if you intend to receive financing for construction. A specialist can prepare your project in a quality and timely manner, so you can receive a construction permit. The process for acquiring Euro-money can only move along after you have the project and cost estimates ready and when you have a construction permit from the municipality. After all, you should not expect to get financing if you don't know how much money you need, even if you are certain you will get a construction permit, and you will only be able to arrive to cost estimates as a result of an investment project. You should also bear in mind that the development of the project takes from 3 to 6 months, including the work of the consulting and architectural companies. Architectural studio ISP Digital Design LTD has already prepared many projects which have successfully applied for euro-money. We prepare a complete range of products which can quickly be approved for construction by the relevant municipalities. Projects are bundled with specifications necessary for the cost estimating process. We work in a professional and timely manner. We strictly comply with the financing requirements of the specific program and will work with your chosen consulting company. Please contact us by phone or e-mail for more detailed information.